Shock City Studios: The Most Trusted Recording Studio In St. Louis. Shock City Studios is a large format recording facility specializing in music recording, podcasts, audiobooks and post-production services including Source-Connect remote recording, ADR, Foley, sound design, editing, and surround-sound mixing. Conveniently located near downtown St. Louis, we engage local, national and international clients with superior service and amenities. Shock City consistently meets a wide range of audio needs, from basic demo recordings to corporate productions. The only recording studio in the region with an A+ Rating from the Better Business Bureau, Shock City has become the most trusted recording studio in St. Louis. The company and their staff has been committed to exceptional standards in the recording arts and has been operating their business using the highest level of ethical practices since 2008. 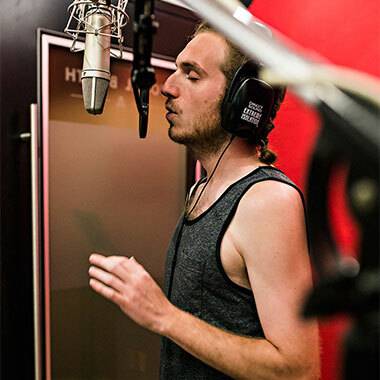 In its entirety, Shock City has the region’s best acoustical spaces paired with state of the art recording, production equipment and software. They also personally ensure that their customers have the privacy, security and amenities needed for thoroughly professional and uninterrupted sessions. Their staff has outstanding industry knowledge, skills and dependability to ensure customer satisfaction with the process and products. This includes accommodating unexpected challenges and tight deadlines – all while producing stellar audio experiences. Shock City Studios has earned a reputation as a responsible service provider and strong community supporter. 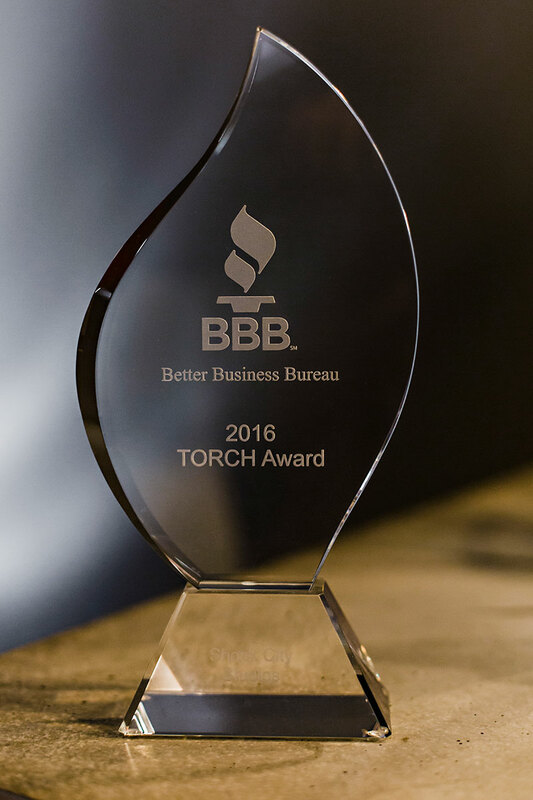 It is St. Louis’ only audio recording and production facility with a TORCH Award and an A+ Rating from the Better Business Bureau. Shock City Studios strives to quickly answer to all inquiries, plus frequently promotes special opportunities and engagements through their Facebook page. Shock City Studios is also proud to closely partner with nonprofit organizations such as Playing for the Cause and Gateway Pet Guardians. They often host fundraising events, facilitate recordings and provide filming/photography space at their facility. Shock City Studios also regularly arranges studio time, tours and educational speaking engagements for youth arts organizations, elementary and high schools throughout the St. Louis area. A lot of recording equipment means a lot energy usage and, unfortunately, environmental impact. 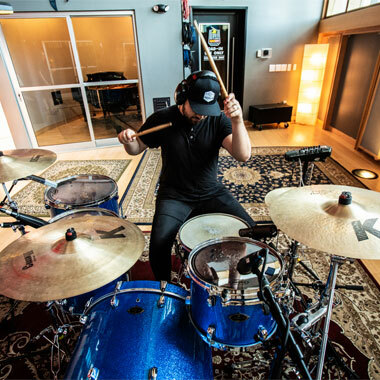 Shock City Studios continues their role as an industry innovator by being the only recording studio in the Midwest dedicated to reducing and offsetting their carbon footprint. 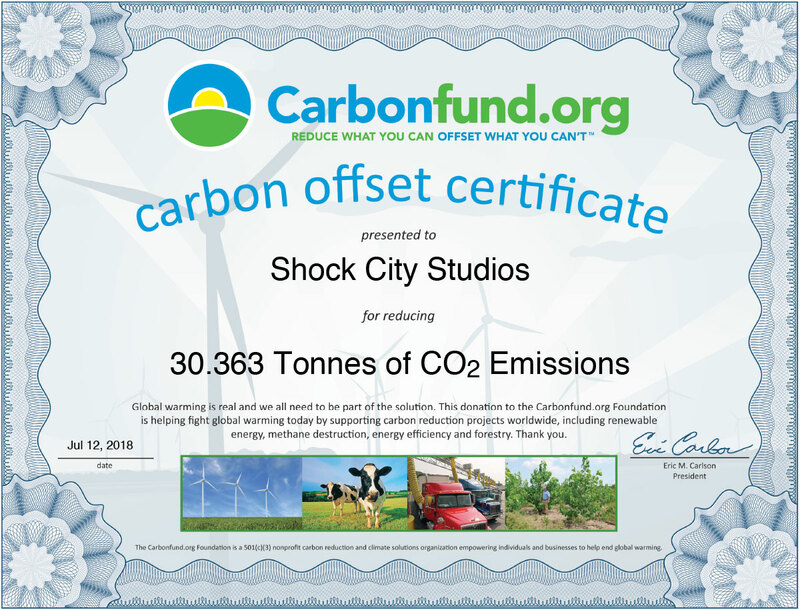 Shock City Studios supports renewable energy, energy efficiency and reforestation projects around the world through their Carbonfree® partnership with Carbonfund.org. In addition, Shock City Studios also supports the efforts of their local recycling program, uses LED bulbs entirely throughout their facility, and uses smart devices on their light switches, outlets and air handling systems to further monitor and control their energy usage.